Im a Fan of Mobile Pet Vet... Are you? Fill in the below form and you can recommend ‘Mobile Pet Vet’ to a friend or family member via a text message. Show your support with a quick share of ‘Mobile Pet Vet’. The best service, friendly and low cost! Excellent with my dogs! This people are very friendly and really see the need of having a mobile pet vet in different areas at different times and maintain a low cost while employeeing people who really care about your pet needs. I will not even think about taking my pets to any other vet to vaccine my pets. Thank you very much Mobile Pet Vet. They are amazing with our fur babies and the prices are reasonable. I love what they are doing. It brings awareness as well as makes it easier to care for pets\’ needs. 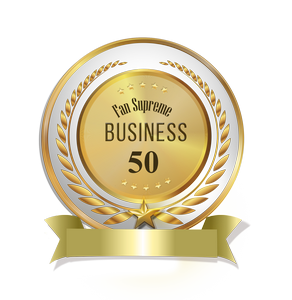 They provide wonderful, cost effective, friendly service. I’ve taken my dogs to mobile vet. Éxcellent service and very reasonable prices. Very friendly staff. They treat or dogs with love and compassion. I recommend this mobile vet to people. Affordable service with great customer service! Unbelievable service. Always ready to help our pets. Best in the region. Dr. Medina and his staff are the best. They are very fast and always very helpful. They are always so helpful! That are the best! Great customer service and prices! Provides unique care to the community. Providing pet care at affordable rates. This allows everyone the opportunity to care for their pets. Great service! They are fast and amazing with my dog and my two kittens. I love them. Every time I have taken any of my pets here, they were treated with such great care. So much so my family began using them to help friends of ours spay or neuter their catdls when they didn’t have the resources. I thank them for all the amazing work they do. They are friendly, quick to respond. Great prices. Treated my Mini-Pinscher with care. Great mobile service. Excellent service!! Dr. Medina knows what he’s doing!! Dr. Medina is the best veterinarian in the world!! He also has a wonderful staff!!! Dr. Medina’s Mobile Pet Van is a family business and we his family in California know what a dedicated veterinarian he is since here he offered his services & treatments for our pets that other doctors here had not diagnosed!! He is an amazing Pet Vet!! They have hart to treat our pets! And they care!! Great prices at all, excellent service always. We are a very profesional bussines, we have the best prices and we provide the best atention. The love to our four legged family. Dedication and professionalism. Best service in town and very affordable prices. Extremely professional. I love to take my cats to the Mobile Pet Vet because of the great service its staff always provide. Dr. Medina and his staff are always available at different locations, different days and times during the week and that make it easier for me to take care of my pets. They are very compassionate too. Thanks Dr. Alvaro Medina and staff for the great service you are providing to the community. Excellent service and very economic. Great service, low cost services and vaccinations. Perfect business hours. Dr. Medina and staff are the most caring people with their clients and their furry pets. I recommend them to everybody I know for the service and affordable costs. excellent customer service and nice personnel!!! I’m a fan of mobile pet vet because is the Best in Texas!!! The Vet and his team!!! They are the number one mobile pet in El Paso, very clean, and outstanding customer service! 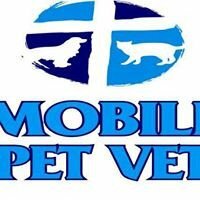 Mobile Pet Vet offers affordable quality care for your pets, from spaying/neutering to basic shots in line with city codes. Also, they are super friendly and do a lot of community charity to bring down the number of animal euthanizations. They are a truly caring business, and are making a difference in the health care of pets. I fully endorse this business and hope for others to follow in their vision and mission. They are very professional, they know what they are doing, and they do care for the animals. Great veterinarian. Very professional and always willing to help pets and the community in any possible way. Mobile Pet Vet is very affordable, great service and Dr Medina is the best!